"This is so frustrating!" he continued, addressing his exposed toes who had now become his captive audience, "Just when everything was going perfectly. Now this! Like I needed it in my life?" "Hey, it's not that bad," said Yusuf struggling to find a comfortable position for his plastered leg, "But I hear what you saying. Things were getting a bit out of hand. I missed my daughter's pre-school jalsa, my son's graduation and dropped a couple of salaahs on the way and jip, Allah knows what else I gave up for this tender...."
Let us slow down and ponder of the journey of life and make more calculated decisions that will not only benefit us in the transitory life of this world but more so in the eternal life of the Hereafter. These four months, according to the authentic traditions, are Dhul-Qa'dah, Dhul-Hijjah, Muharram and Rajab. All the commentators of the Holy Quran are unanimous on this point, because The Beloved Messenger of Allah (peace be upon him) in his last sermon, declared: "One year consists of twelve months, of which four are sanctified months, three of them are in sequence; Dhul-Qa'dah, Dhul-Hijjah, Muharram, and the fourth is Rajab." It is derived from the word 'haraam' which means forbidden. What is forbidden during this month is fighting. We are not heads of countries that wage war on others, but we have our own battle fields in our homes, families, workplace and even our neighbourhoods. Most of us live at such a frenetic pace that when we get home from work we are tired and stressed. This is the time when impatience and intolerance flares up and we fight with our partner or our children. A good thing to do is to remember who they are and what they mean to us. With consciousness it becomes possible to think before flaring up. The same thing often happens at work as well. When we remember that we are all working to provide a service, even if we never know who benefits from what we do, it could change our attitude. There are many of us who are not on speaking terms with family members, holding onto grudges, whether real or imagined. We should be aware that we are all different and unique, and that we are all the divine creations of Allah. Being conscious is not enough; we have to be Allah conscious, so that even if we cannot see Allah, be aware that Allah is seeing us. This should make us pause and consider before we act impulsively, or live in enmity. The Beloved Messenger of Allah (peace be upon him) said that on the 10th day of Muharram we should be more generous to our family: "One who generously spends on his family on the day of Aashora, Allah will increase (his provision) for the whole year." (Hadith:Baihaqi). We do not have to confine such generosity to the tenth day, or for that matter, for the month of Muharram. Nor does generosity have to be limited to monetary spending. We can be more generous with our time; when a child runs to tell you something while you are busy it will make a world of difference to him if you stop to listen. In this way you will be giving time as well as kindness. The child will feel validated and very often will then leave you to continue what you are doing. Opening up to your family about your thoughts, dreams and hopes, is an excellent method of getting them to share theirs. Knowing the hopes and dreams of your children is invaluable as a means of achieving family cohesion. Another form of generosity you can share with your family is to share with them painful moments, and what you learnt from the experience. This could lead to them sharing things which had hurt or traumatised them and as a family you can brainstorm what lessons can be learnt from their experiences. "If we had caused this Quran to descend upon a mountain, thou, (O Muhammad) verily hadst seen it humbled, rent asunder by the fear of Allah. Such similitude coin We for mankind that haply they may reflect" (Quran-Surah Hashr: V 21). Come the end of December and everyone makes resolutions, as Muslims we should be making resolutions on a daily basis. 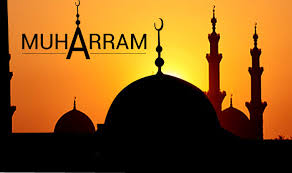 The hujaaj are returning now from having performed the fifth pillar of Islam, and as we rush to greet them we could easily forget that this is the last month of our year, that Muharram is mere days away. Now is the time to engage in reflection, to resolve to make the shift to do better. We know that we are going to be judged by our intentions, so let us try to have only good intentions for the rest of the year, Insha'Allah. The word resolve has a two-fold meaning: it means to make a resolution or intention to do something, but it also means to solve an issue. Many of us carry unresolved issues, and these clutter our lives and prevent us from true spiritual connection. It is hard to have closeness to Allah when we harbour grudges against people for real or imagined slights. Forgiveness is the key; it does not excuse the other person's action, but it does set us free. It is also important to forgive ourselves when we feel we have done something we subsequently regret. We are all born pure,natural and innocent; we are born with a Fitrah. Somewhere along the way we have become contaminated by experiences, environment and conditions. The thing is not to beat yourself up about it, acknowledge what happened and accept it. Now try to do better. Resolve to reclaim your Fitrah, the perfection that Allah created you with. It has not been lost, it has just been overlaid with a lot of things, but it is still there. In the stormy sea of life we have often been tossed around, but with Allah consciousness we can keep our heads above water. Use this period to reflect, resolve and reclaim what we were truly meant to be, Insha'Allah.